When a company acquires certain types of long-term assets, it sometimes has an obligation to remove these assets after the end of their useful lives and restore the site. Typical example of such an asset is an oil rig or a nuclear power plant. When an oil rig, a power plant or similar construction fulfills its purpose and comes to the end of its useful life, it’s only fair to our environment and people to remove it and restore the site as much as it can be. In my own country, the legislation requires a company to remove the plant and restore the site after the end of its useful life. And, in many other countries, the legislation is similar and therefore, the company operating similar assets will incur the inevitable expenses to decommission its assets some time in the future. When and how should you account for these expenses? It would be clearly unfair to account for these expenses as they arise. The reason is that the obligation to remove and restore the site arose right when the related assets were built and therefore, the company knew about these costs right from the start. Users of the financial statements have the same right to know about such an obligation and the related expenses. Therefore, IFRS contain several rules about so-called “decommissioning provisions”. The standard IAS 37 Provisions, Contingent Liabilities and Contingent Assets requires recognizing a provision when there is a liability – i.e. present obligation arising from past events. As I explained above, when you build an asset that requires removal after the end of its useful life and restoration of the site, then a present obligation arises at the time of its construction. The obligation can result either from legislation (“legal obligation”) or from valid expectations of the third parties created by the company (“constructive obligation”). Except for IAS 37, there’s the standard IAS 16 Property, Plant and Equipment that requires including the initial estimate of the costs of dismantling and removing the item and restoring the site into the cost of an asset. It means that you do NOT recognize a decommissioning provision in profit or loss, but in your assets as a part of an item of PPE. 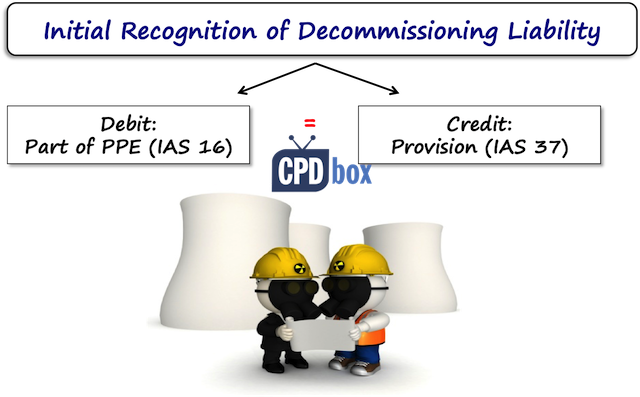 Finally, there’s a pronunciation IFRIC 1 Changes in Existing Decommissioning, Restoration and Similar Liabilities dealing with subsequent measurement of a provision and recognition of its changes. Measurement of decommissioning provision is extremely demanding, difficult and there are a lot of uncertainties involved. The main reason is that you try to measure the expenses to be incurred after the end of your asset’s useful life. That can happen 30, 40 or 50 years later (maybe even more). It’s quite difficult to estimate what happens within the next 5 years… and what about 50 years? Involve experts to estimate future costs. What the timing of estimated costs is (no, we can’t assume that a nuclear power plant or an oil rig will be removed within 1 year – it can take even 10 years to complete the job fully). Study the report and adjust it. Are individual expenses estimated in today’s prices? Or, did experts include some inflation? You should not include the same risk twice into your calculation and therefore, when your estimates are in current prices, then you should a real discount rate (excluding the effect of general inflation). When the estimates are inflated, then use a nominal discount rate. When I was dealing with my client’s decommissioning provision, our team selected a different approach. We asked our experts to use the current year’s prices and then we adjusted them for the effect of inflation. The reason is that the cash flows are not centered in 1 year, but spread over more years and the estimate of inflation can be different for different years. Did experts include any effect of technologies not yet available? Did they count on any technical development? Or, did they assume today’s technologies? Hey, you should not count on any future developments that are not yet certain and available. What portion of these expenses relates to the removal of the buildings and constructions? What portion relates to the rectification of environmental and other damages caused by the operations? This is very important for decision on when and how to recognize your provision. Select the discount rate and discount your cash flows. IAS 37 requires to select a “pre-tax rate(s) that reflect(s) current market assessment of the time value of money and the risks specific to liability”. There’s not much guidance in IFRS on selecting your discount rate in this particular case and indeed, there are many approaches to select your discount rate. Let me describe just one of them. You can select some publicly traded government bonds and plot them on the yield curve to extrapolate the yield for maturity in the period when your expenses for decommissioning are expected to arise. Hmmm, sounds difficult, I know. But, decommissioning provisions are not easy! 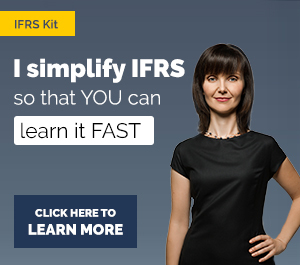 If you are interested, you can check out my IFRS Kit to learn how to do it. When you measured your provision successfully, now it’s time to recognize it. As written above, the standard IAS 16 requires recognizing initial estimate of decommissioning costs to the cost of an asset. The question is when to recognize such a provision, because the nuclear power plant or similar assets are built within several years. Well, you should recognize a provision when there’s a past event creating a present obligation. In most cases, your obligation builds up together with your asset. Of course, you will have smaller expenses to remove semi-finished reactor than to remove completed reactor. Therefore, I recommend splitting the creation of your provision into the individual years of constructing your asset. The more you construct, the bigger obligation you have. Let me also warn you about a provision to rectify damages caused by the operations. The obligating event happens when the operations run. Therefore, you do NOT recognize any provision to rectify damages caused by operations at the time of constructing your asset. Moreover, this provision relates to the operations and not to an asset itself and therefore, it is recognized in profit or loss (not to the cost of an asset). For example, take nuclear power plant. When you build reactors, then you have to remove them after the end of their useful life and therefore, the provision for their removal is recognized at the time of their construction in the cost of a plant. But, when you operate a nuclear power plant, then radioactive waste is produced. Of course, you need to remove the waste and it’s quite expensive, because you need to store it in concrete cooling units and then in permanent storage. The provision for these expenses is recognized when the waste is produced (i.e. when you operate the plant). First of all, you need to unwind the discount each year. It means charging an interest on your provision to build up your discounted liability to its future value. Secondly, don’t forget to charge depreciation on your asset. Lastly, you should revise your provision at the end of each reporting period and recognize its changes in line with the pronunciation IFRIC 1. If you keep your asset under revaluation model, then you recognize a change in your provision in the revaluation surplus or deficit. Let me give you a brief, simple example to illustrate this extremely complex topic. Let’s say your experts estimated the expenses to decommission the plant. On top of that, the experts estimate the annual expenses of CU 100 to remove the radioactive waste caused by the plant’s operations during its useful life. All expenses are stated in the real prices (20X1). Based on recent economic development, you assume that the inflation rate will be 1.5% p.a. and the appropriate discount rate is 2%. 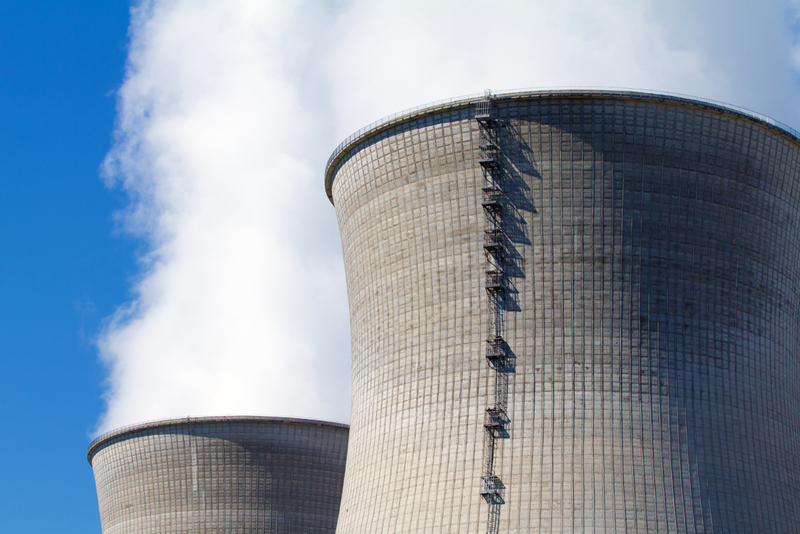 Calculate a provision to decommission the plant and recognize it in the financial statements. Be careful, because you should not include the estimated expenses for removal of radioactive waste into the initial provision. The reason is that the obligation arises when the plant is in operation and therefore, you need to recognize a relevant provision needs when a plant operates and produces radioactive waste (in profit or loss). Now, let’s say that in 20X3, your estimate of the discount rate changes to 1.8% and all the other estimates (cash flows) remain unchanged. You need to recalculate the provision and account for its changes under IFRIC 1. Just be careful, because now you are in 20X3, not in 20X1 and therefore, the number of years for discounting change (not for inflating the costs, as you still inflate from the date of your report). You can see that the revised provision of CU 2 169 is different from the currently recognized provision. Assuming you use cost model for your power plant, you need to recognize the change in the cost of a plant. Accounting for decommissioning is not an easy topic, because it involves a generous portion of uncertainty and estimates. On top of that, accounting for something that will happen in the far future means lots of discounting and continuous re-estimation, reassessment and recalculation of a provision. Therefore, this is NOT purely an accounting matter. You should involve your decommissioning experts to help you estimate the expenses. Just one final remark: I described accounting for decommissioning provision under IFRS, but US GAAP rules are very similar. They call it “asset retirement obligation (ARO)”. The principles are almost identical, but there are some differences – therefore, please be careful when preparing your financial statements under both standards. If you find this article useful, please share it with your friends. And, if you have any questions, please comment below. Thank you! we did a similar thing for aircraft return conditions. when an aircraft is returned to its lessor, the lessee should upgrade the aircraft its original conditions( return conditions). That obligation was very huge. we applied the same accounting treatment. Very educative article. Am fun of all your articles you write. Keep on educating many. That’s very educative, plus all your others, they have been so helpful in my teaching. I have a concern though should the same treatment accorded to leased agricultural Land at the end of the lease period? How do you account for depletion of fertility? Again I believe use of agricultural land adds value how do you measure the appreciation and adjust it to restoration at lease end. Very effective One, worth reading it. Very good article. Thanks for upgrading our knowledge. Give me an example – when decommissioning cost will be included in the cost of PPE as per IAS 16 and when it will be included in the cost of Inventory as per IAS 2.
an interesting question, but I don’t think you would include the initial estimate of removing/restoration costs into the cost of any inventory – IAS 2 does not mention anything about it and also, you can reasonably assume that it’s not applicable for inventories because you produce inventories to sell them or use them in the production process (thus I can’t imagine you would incur some costs to remove them). S.
having used the item during a particular period for purposes “other than to produce inventories” during that period. So my question is When decommissioning cost will be included in the cost of PPE as per IAS 16 and when it will be included in the cost of inventory as per IAS 2. Explain with example. I know nothing is mentioned in IAS 2, but you have installed an oil rig for producing and selling oil which is your inventory, so whether the decommissioning cost of oil rig will be included in inventory or not? And what does decommissioning cost other than to produce inventory means? Thank you for this very informative article, especially the portion on changes in estimates related to the decommissioning factors. What if the scenario was reversed wherein the new PV of Dismantling cost was lower rather than higher than the current setup(as what was in your example) what will be the entries to be made? How would the decrease in provision of Decommissioning affect the related PPE accounts. the entry would be Debit Provision for decommissioning = 500, Credit an asset = 500. Here, you did not give me the carrying amount of a related asset, just a part of it equal to “ARO” (asset removal obligation – by the way, this is “US GAAP term”, not an “IFRS term”). I assume that the carrying amount of the asset was higher than 500. However, if a carrying amount of an asset is lower than the change, the asset is reduced to 0 and the remaining change is recognized in profit or loss. S.
Thank you so much for such a great article which clear many issues at once. will look forward for such stuff in future as well! I am confused why you unwind discount on previous decommissioning provision not no revised one. that depends on what point of time you made your revision. If it’s at the end of 20X3, then you would account the whole year based on original provisions and only then change the provision (like stated above). If it’s at the beginning of 20X3, then you can book a change without unwinding the discount on the original provision. You get an idea 🙂 S.
The article clarifies the concept of accounting for provisions. On Monday my colleagues and I were talking about creating provisions for the amount by which rental deposits will be reduced when a tenant’s operating lease ends. The trend is that tenants never receive the full deposit at the end of the lease. 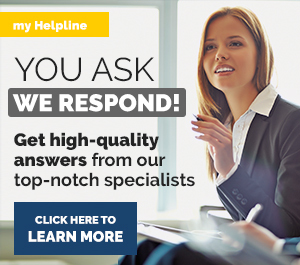 Can we estimate what the cost of restoring the property would be, based on past experience. The timing was the issue – which is important to meet the definition of a provision. We finally simply recognized the rental deposit as a trade payable under current liabilities. how correct was this treatment? I’m still uncomfortable with the treatment. I think your situation is different from what I described above. I guess you write about the obligation of your tenants to put the rented place in a good shape. But, it’s not YOUR obligation, it’s an obligation of your tenants. If you do it on their behalf, that’s the other thing. Therefore, I don’t think there is an obligating event for you and I would not make any similar provisions as you wrote. S.
How would it change if the entity uses revaluation model? I mean e.g. if the fair value was estimated to be 10.000, but then we need add a provision as an effect of change in discount rate, of say 500 – do we add this 500 to the asset value and subsequently recognize an impairment? Could you please explain it? no, you would not add 500 to the asset value. Instead, you need to amend the revaluation surplus. Therefore, your entry would be something like Debit Reval. surplus in OCI / Credit Provision. The reason is that the plant has already been revalued to fair value. S.
which Ind As apply this same Article in India. Please let me know so my knowledge upgrade. Let us assume there is a component of decommissioning of certain assets of a plant after maybe the plant was revalued and note that it is the company policy to recognize and measure assets according to IAS 16. Therefore,how do we treat the decommissioning component? I like your educate..it hards alot of sense in my studies.shed more light please. Thank you for keeping us updated in IFRS/IAS and also simplifying the complex. Please continue your generous service. wonderful and superb piece. Thanks so much and keep it up. This is a situation that many Ugandans could not imagine. There are very few cases that may require recognizing decommissioning provisions. Thank you Sylvia for awakening us.This is indeed a generous service as observed by Yeshi. Few people do that. I am doing my CPD with you. Dear Silvia M., I just want to appreciate your lovely work. And want to admire the attention that you give each and individual questions. I hope I will soon sign up for your course too. but in the meanwhile benefiting from your articles. I wish you very best of luck in your future endeavours. Thank you, Qamar, it feels great to be appreciated 🙂 S.
Thank you for the explanations and the illustration.You have been doing well in expanding the knowledge of many professionals in this new dispensation. Thanks Silvia for such a wonderful article.Very helpful indeed. First of all I would like to thank you for all the knowledge you are sharing with us through this platform. 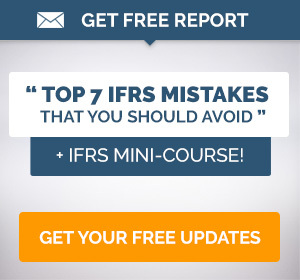 This really help us in keeping our IFRS knowledge upto date. Well my question is that a comapny has an oil rig and it has a constructive obligation to incur the clean up cost at the end of the 10th year and its present value is 20 million at the start of the year 1. discount rate is 8%. 20 million +(150 * 2%)*1.08 =24.84 million. I want to know what is the unwinding of discount in the year 1? is it 24.84 less 20? and if the company prodcues 200 million oil barrel in next year so how do we calcualte the unwinding of discount next year? 2) variable costs depending on the production – this obligation arises as the oil is extracted, so if no extraction, no expenses, am I right? In this case, you need to set up your present values first. – variable costs – these 2%, is 150*2% the present value or the future value? In other words, is this the estimate in the current 2016 prices, or the future prices? Let’s say that 150*2%, or 3 is in the present value. Unwinding of the discount in the 1st year is then 20*1,08. The reason is that you created the provision of 3 at the year-end and it was the present value at the year-end, so no need to unwind. You get the idea. But be careful, because I had certain assumptions here and yours can be different. You need to understand why you make provision and in what prices. What additional journal entries would we process if the asset had not yet reached its full useful life? In other words, it is not fully depreciated and still has a book value? Nomsa, accounting entries related to what? If the same PPE that is being decommissioned is not fully depreciated, what journal entries do we process to derecognize the asset from the books? Where an asset is being decommissioned, the expenses relating to the decommissioning are written off against the provision. If the specific asset was not fully depreciated by the date of decommissioning, we would have to derecognize the asset from the books. I understand that would result in a credit to PPE. What is the other leg of the journal? Would this in any way affect the income statement? Thank you. Now I get it. If you still have some carrying amount left, then it means that the useful life was estimated incorrectly – or, it was not periodically revised as required by IAS 16. I wrote more about it here in this article. It’s about machines, but it applies for any other PPE. How you book the entry – it depends on whether the “undepreciated” amount is material or not. More about that in the article. Thanx for sharing the insight. I work with a construction project wherein we have taken the various government properties for building of our yards and habitat purpose etc. The construction project lasts for 4-5 years. Post completion all government properties are liable to be returned to government in its original condition. The restoration cost is significant. My question is- does restoration cost entail the same treatment i.e. requiring calculation of its Pv and adding it to WIP and also recognizing the liability during WIP period. Thank you for uploading the details of IAS 37 and it is very useful to me. Do I have to unwind the discount for this $0.7m? Just like the construction obligation? What should I do for $0.7m? yes, you would do the same, i.e. 0.7m multiplied with the discount rate, and then you recognize it as Debit P/L-Interest Credit Provision. S.
Would you be able to advise how to deal, with business rates incurred by the entity during the decommissioning period for one of its power plants. The property qualifies for empty property relief for the first 6 months, however it normally takes 9 month before demolition commences. Accordingly the business ends up paying rates for 3 months. Can these business rates be included in the decommissioning provision? If not please advise of alternative treatment of those business rates that are payable after the plant is indeed closed but demolition has not commenced. it all depends on whether these business rates were anticipated when you created a provision for demolition or not. In other words, whether they were included in the initial estimate of the provision as an inevitable cost of decommissioning. If yes, then of course, you debit provision when they are incurred. If not, then you debit expenses. However, in my opinion, if you are reasonably sure that you will incur these rates, they should have been included in the initial estimate. S.
Great description of everything specially unwinding and inflation impact. One thing I want to know that how to account for decommissioning cost in revaluation model? Our Company had taken a 5 floor building on operating lease for 5 years & after 2 years we found that we need only 2 floors and remaining 3 floors can be surrendered to the land lord. The land lord said that he will take the 3 floors back in the same condition in which it was given and it will require an renovation expenditure of $ 210 Thousand by our company. If we do so we will save $ 150 Thousand in next 3 years each. Can we capitalize this amount and charge it to P&L over next 3 years (70 each year). it seems that there was a past event (termination of a contract and agreement with the landlord), so you should charge the provision in full when you terminated the contract and agreed (not spread over 3 years). S.
We recalculate discounted liability every quarter use the new risk free rate. I adjust Asset and Liability accordingly, but what do I do with accumulated depreciation? Wei, IFRS do not prescribe it. You can adjust cost and leave accumulated depreciation as it is (unless it’s higher than cost) – as soon as your carrying amount is correct, it’s OK. S.
Hi Silvia, great write up! One question, if we have an operating lease for office/warehouse rental, instead of an asset, should we then make provision for decommissioning costs in profit&loss ? Explained in a decent manner. Thanks. Should a telecom company who has laid optical fiber cables under the ground level and has an option to abandon the same, recognize the expected decommissioning cost for the same if it is more beneficial to get the cables back? Provided that the company has commenced operation before 8 years while life of cables is 15 years. Hence, no decommissioning has been done yet. Hi Silvia . Thanks for the informative article. Please I need some clarification on the deferred tax implications of decommissioning provisions. Does the asset give rise to a deferred tax asset, considering the fact that the depletion will be disallowed for tax purposes? if the actually incurred cost of decommissioning (I guess that’s what you mean by the depletion) are not tax deductible, then there’s no difference between the tax base and carrying amount. S.
Thank you, this is great learning. My question is around interim reporting calculation. If you have a calculation model that is based on annual calculation, that is cash flows are annual , on interim reporting, what discount rate should I use? Value of a PPE cannot be defucted in initial measurement?? You cannot measure PPE at its cost less residual value – it makes no sense. You exclude residual value just for the purpose of depreciation (you do not depreciate residual value). But it is still included in the carrying amount. I love this site!Always using it for my accounting revision.Excellent! Hey Silvia is there any difference in US GAAP and IFRS as it relates to the initial measurement and subsequent measurement of the ARO cost i.e. the debit entry. I couldn’t find anything online. Hello Silvia, I have a question, lets say we have recognized a ARO liability of $200M in the year 200 for a FV of $300M. and have subsequent accretion and depreciation expenses year over year as per book accounting. 1. so due to this ARO creation will the book value of the asset goes up, because I read that, we capitalize the ARO to the assets value and depreciate it. ? or BV is depreciation separately and ARO is depreciated separately? so when some the asset is sold or retired the gain or loss can be allocated accordingly ? 2. how does tax accounting recognize this, do they view it as same as PPE value, because PPE can be accelerate depreciated for tax purposes creating DTA/DTL. and can tax accountants use same accelerate depreciated on ARO expenses also? 3.lets say company B acquires the asset from company A at the end of year 10 and company B has to do the ARO by the end of year 15. and lets assume company B paid more value to company A greater the FV of the asset. now Company B will recognize goodwill = Purchase Price – FV of Company A – ARO expenses. so is ARO subject to impairment and accordingly alters goodwill accounting upon purchase. and subsequently recognize the ARO in it books of company B.
coming back to company A how does this sale this translate in terms of Book value and tax value. This question is most intriguing for me. is this assumption for Company B correct. since it has never done this ARO, how does it the repay it DTA/DTL accrued over the years due to the recolonization of ARO in its books? what are the tax and book impacts for company A? Hi Silvia, thanks for this write up. In Nigeria, many landlords prefer tenants to restore apartments to its initial state when quitting the apartments. My question is this: for an apartment rented by my company, which PPE will I debit when I credit provision at the point of recognizing provision for restoring the apartments since the apartment does not belong to us? My second question is that some landlords will ask tenants to pay a one-off refundable caution fee to the landlord at the point of paying rent. This fee will be refunded if the tenant restores the apartment to its initial state. In case, the tenant does not restore the apartment, he will forfeit the caution fee and will be free from the obligation of restoring the apartments. How do we treat the caution fee in both cases? Hi Abdel, the mechanics of journal entries is not that important with respect to the correctness of the presentation. For the sake of keeping your financial records neat and clean, I would suggest the first entry to be Dr Provision Cr Accumulated depreciation (sub-account of accum. depreciation to see the difference between individual types of accum. depreciation). Thus your records still show original cost of an asset and accumulated depreciation by its source (arisen from regular depreciation/arisen from adjustment in provision). S.
1. As the president of the company, Mardee Renewable Energy Developers Corporation, a Philippine based renewable energy developer. At present, we are planning to acquire asset from a decommissioned Toyota company in the US. What are the requirements in the US involving this kind of sale? An acquaintance, set the negotiation and met the Liquidator, as he himself introduced as Assets Liquidator. Can you advise and inform me what are the prerequisite requirements in this transactions; what are the agreement of sale to be utilize? thank you for your kind comment. However, I am indeed not able to advise because I am an IFRS expert and your question relates more to the purchase/sale process. Thank you for your understanding! S.